SAP API Business Hub is the central catalog of all SAP and partner APIs for developers to build sample apps, extensions and open integrations with SAP. SAP applications, platforms, and business networks continue to open up through APIs – to facilitate ecosystem-driven innovations and seamless integration – through the SAP API Business Hub. In the 5 part blog series, Discover, Explore and Consume of SAP S/4 HANA Cloud APIs from SAP API Business Hub and Manage of SAP S/4 HANA Cloud APIs from SAP Cloud Platform API Management was covered. 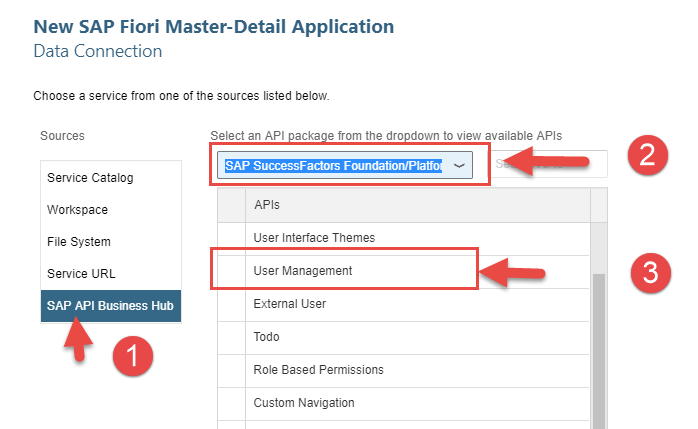 In this blog, we would be showcasing Discover, Explore, Consume and Manage of SAP SuccessFactors API (User Management) from SAP API Business Hub and SAP Cloud Platform API Management. 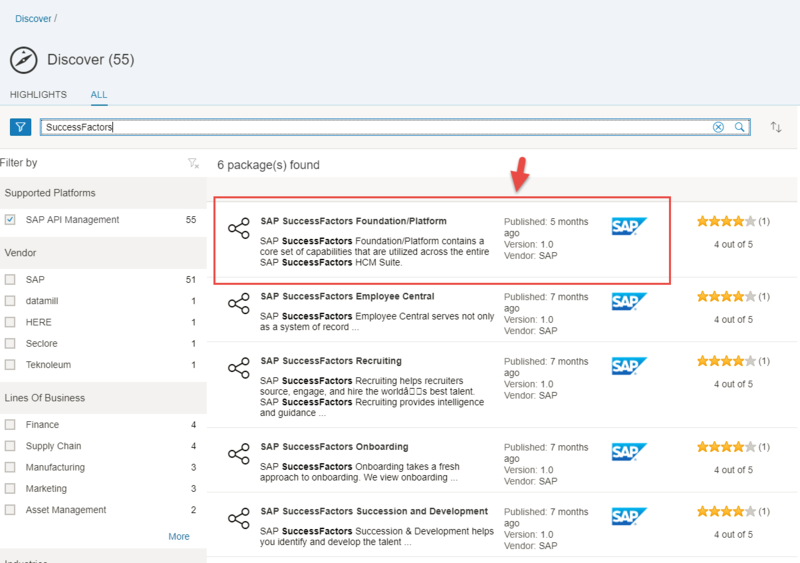 Click on any of the SuccessFactors packages from the search results to explore APIs. 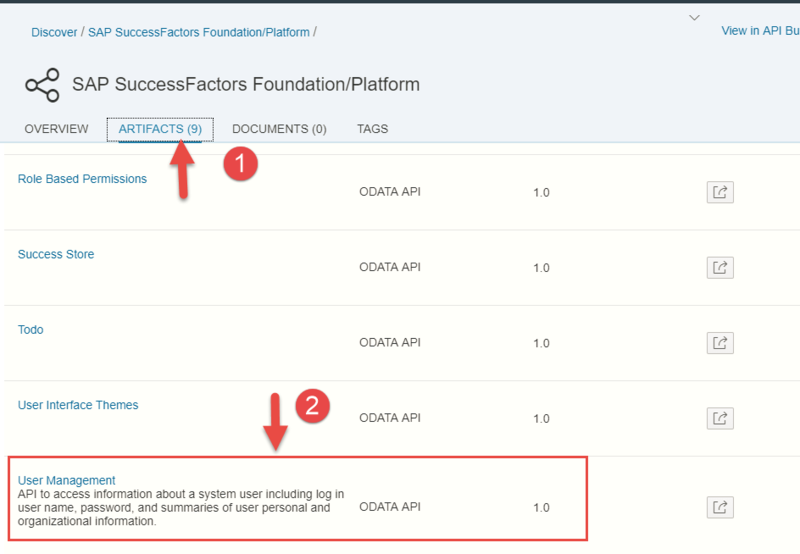 In this blog we would be exploring the APIs from SAP SuccessFactors Foundation/Platform Package. Explore, Test User Management SuccessFactors API. Detailed steps covered in this blog. SAP Cloud Platform Web IDE is a powerful, web-based integrated development tool that simplifies end-to-end application development and enables developers to quickly discover APIs from SAP API Business Hub to generate Fiori applications. Once the User Management SAP SuccessFactors API has been explored and tested from SAP API Business Hub, we can consume this API to build a Fiori application in SAP Cloud Platform Web IDE. Ref this blog for detailed steps. Open Full Stack Cloud Platform Web IDE. Create a new SAP Fiori Master-Detail Application named say MyEmployees. 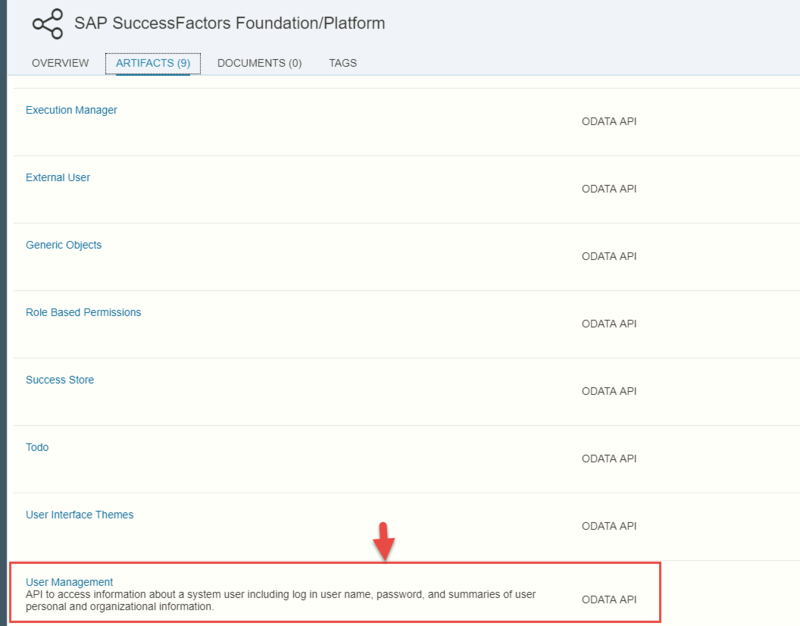 Select SAP SuccessFactors Foundation/Platform Package from the API Package drop down and select User Management API. 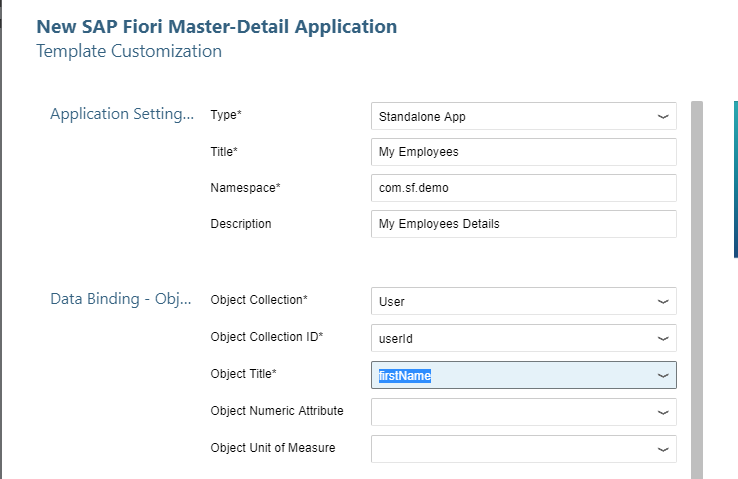 Enter the following properties in the Template Customization screen and then click Finish to generate the Fiori Application. SAP Cloud Platform API Management is an integral of an architecture blueprint when it comes to development of digital applications. SAP Cloud Platform API Management can handle any HTTP(S) based API (REST/ OData/ SOAP) both SAP and Non SAP APIs. From the Discover tab, you can discover all SAP Cloud applications API including SAP SuccessFactors and also select Partner APIs. Ref this blog for detailed steps. 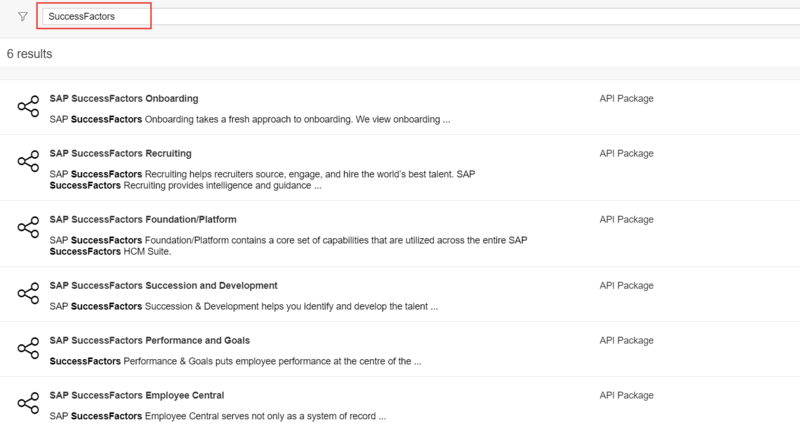 Click on ALL and then type in SAP SuccessFactors in the search field to view all SAP SuccessFactors APIs. 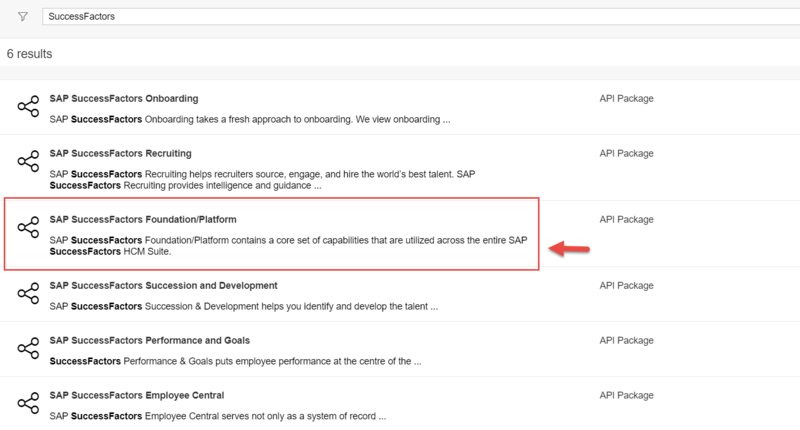 Click on SAP SuccessFactors/Platform API Package from the search result. Select User Management API by navigating to the ARTIFACTS tab. 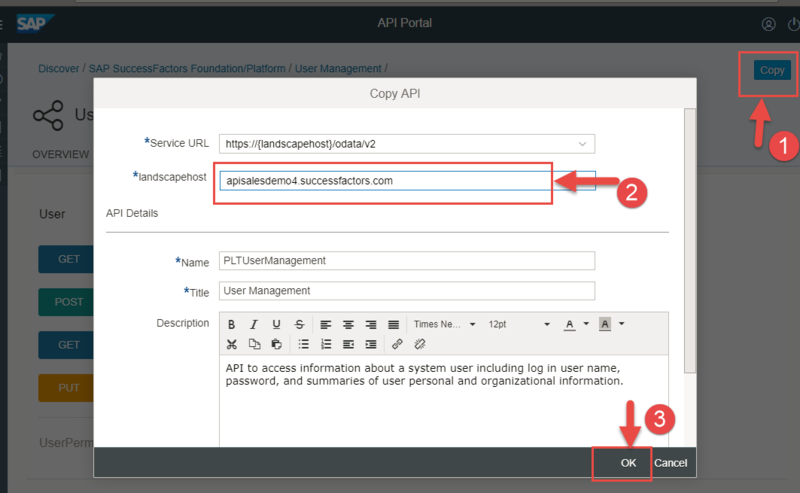 Click on Copy to copy the User Management API into SAP Cloud Platform API Management tenant and connect it to your own SAP SuccessFactors tenant. 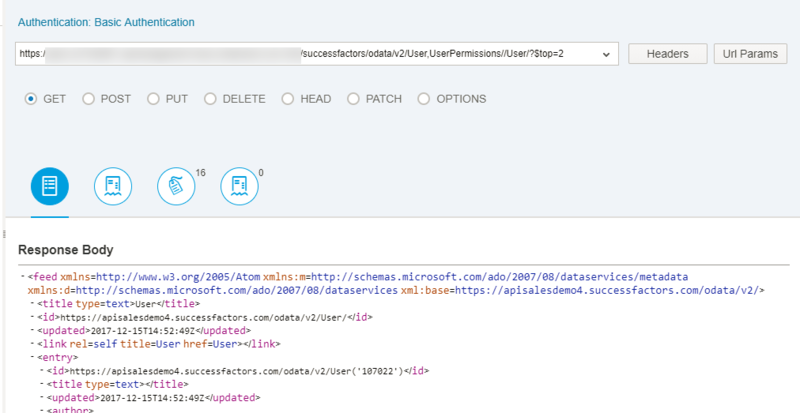 ( Ref the blog for SAP SuccessFactors OData API test system). From the landscape host drop down select your SAP SuccessFactors tenant data centers, Change the API Proxy Name, Title, base path if required and then click OK.
API Proxy is created by default in Undeployed state. Select Deploy action to deploy the newly copied SAP SuccessFactors User Management API Proxy. Click on the PLTUserManagement API Proxy to test the API Proxy. Select the RESOURCES tab and click on GET operation view all Users from your SAP SuccessFactors tenant. In the Test Console, enter your user credentials to SAP SuccessFactors tenant and click on Send. 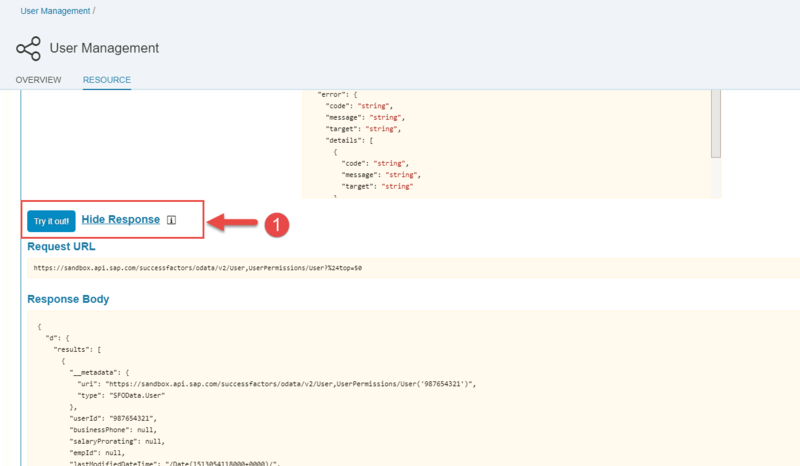 To connect generated Fiori application to the SAP Cloud Platform API Management managed User Management APIs, a destination to the API Proxy host would be required. Navigate to your SAP Cloud Platform Cockpit. Click on Destinations tab under Connectivity. Click on New Destinations to create destination to the API Proxy endpoint. Enter Name as mySuccessFactors, URL as the API Proxy endpoint and select Authentication as Basic Authentication and enter your SAP SuccessFactors tenant credentials. Enter additional property named WebIDEUsage with value set to true so that this Destination configuration can be used from SAP Cloud Platform Web IDE. Click on Save to persist the changes. Expand the generated MyEmployees Fiori application from SAP Cloud Platform Web IDE. Click on manifest.json file from the expanded project in WorkSpace explorer and change the mainService datasource to remove the /apihub_sandbox from the uri. Click on neo-app.json from the expanded project in WorkSpace explorer and change the /apihub_sandbox path , target type application of the generated code. Change path from /apihub_sandbox to /successfactors, target type from application to destination, name from webidecp to mySuccessFactors( destination name as specified in the section Destination to SAP Cloud Platform API Management section), entryPath from /destinations/apihub_sandbox to /successfactors. Click on Run/Play to launch the MyEmployees Fiori applications connecting to the SAP API Cloud Platform Managed User Management APIs. 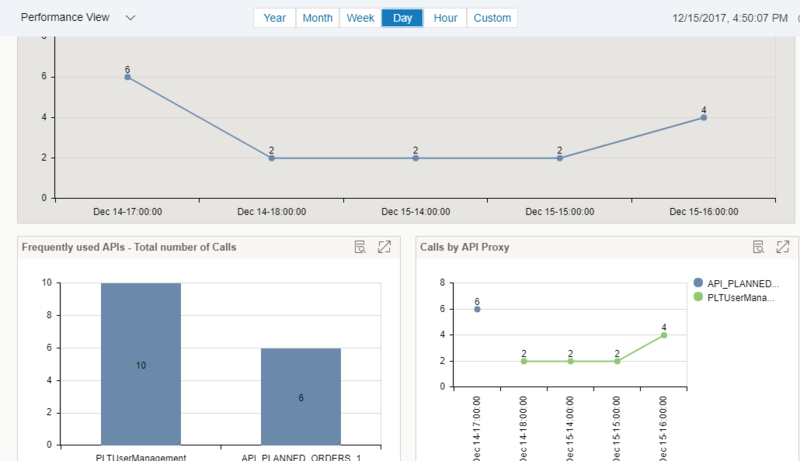 With the Fiori application connected via SAP Cloud Platform API Management to your SAP SuccessFactors APIs, usage of the User Management API can be monitored and governed by SAP Cloud Platform API Management. SAP Cloud Platform, API Management also offers many out of the box API Security best practices which includes security policies for Authentication and Authorization, Traffic Management and many more. API Security Best Practices blog series.